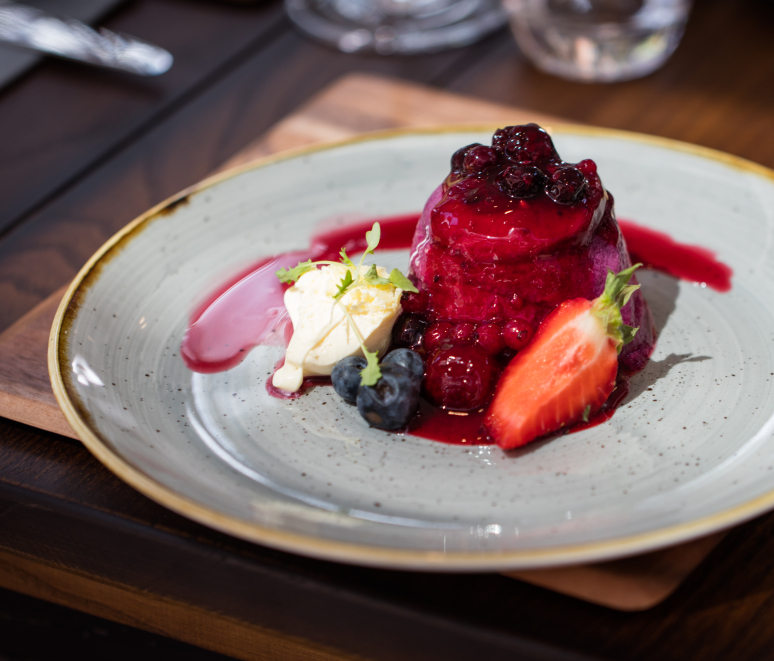 The Oakfield’s Executive Head Chef, Ben Finchett plans to bring a tasty selection of seasonal courses to The Oakfield, each made using locally sourced ingredients. Ben tells us more about what to expect and what delicious delights will be on the menu! Ben has worked as the Head Chef at the Marco Pierre White Steakhouse and played a vital role in the opening a number of Marco’s restaurants in Birmingham, Liverpool and Norfolk. On top of that he’s worked as a Chef at a variety of different places including The Grosvenor in Chester and even cooked for the Duke of Westminster at his estate. But it is the first time he’s ever worked at a zoo. “It’s strange when you walk into the office and you’re looking at flamingos and penguins! There’s not many environments where that would happen. Seeing the baby rhino and the elephants is amazing! Everywhere else I’ve worked has been like a regime but at the zoo it’s much more relaxed than anywhere else I’ve worked. “I feel the zoo really wants to create a good experience for guests, and I’m really pleased to be a part of that at The Oakfield. For me, it’s so much more than cooking the food, it’s thinking about all the other things that go alongside it to give that quality experience for our visitors. “I have sourced some local suppliers and local produce to keep it as local as possible. For example we’ve got asparagus on the menu from Formby, potatoes from a farm in Frodsham and the meat from a farm in Mickle Trafford. Championing local produce and suppliers is the main inspiration behind the menu, as well as seasonality. Years ago you used to have the veg man, a dairy, a meat man, a fish man, a dry stores. Suppliers used to phone me up in the morning and say we’ve got a good catch of some fish or some really good quality asparagus or anything local to the area; so I’d like to try and have a good working relationship with all the suppliers I can get the food when it’s at its best! “When taking on new suppliers it was important to consider the use of sustainable palm oil within any of the products, but as we’re making everything fresh in The Oakfield kitchen this wasn’t something that impacted me too much. However, it’s still something I need to be aware of, as well as ensuring the fish is MSC accredited; and isn’t something I’ve ever had to consider previously. “I started washing up at the age of 12! So I’ve worked in this industry for 25 years now. I remember finishing school and watching Ready, Steady, Cook with my nan and grandad, and that really got me into cooking. My mum’s side of the family are Italian so we used to go on holidays to Italy and I’d watch my mum and nonna make food – it was fascinating to watch. I remember making a lasagne for about 13 of us when I was 11 years old and it just grew from there. It’s like a big family environment in the kitchen. “Our visitors can expect fresh food, seasonal food, something a little different to anywhere else you would go! It’s a menu that’s unique to Chester Zoo! It’ll be good quality food at a good price. The menu will also constantly change and evolve, and won’t be a set menu for months. I’m hoping Sunday’s will be a good day for families to come to the zoo and have a nice roast dinner and then go for a walk around the zoo afterwards. “I hope visitors will go away and say they’ve tried something new. There aren’t many places you can go and have some food and then go for a beautiful walk afterwards and look at tigers, orangutans or bears! So hopefully, the experience of being at the zoo will be something a bit different. 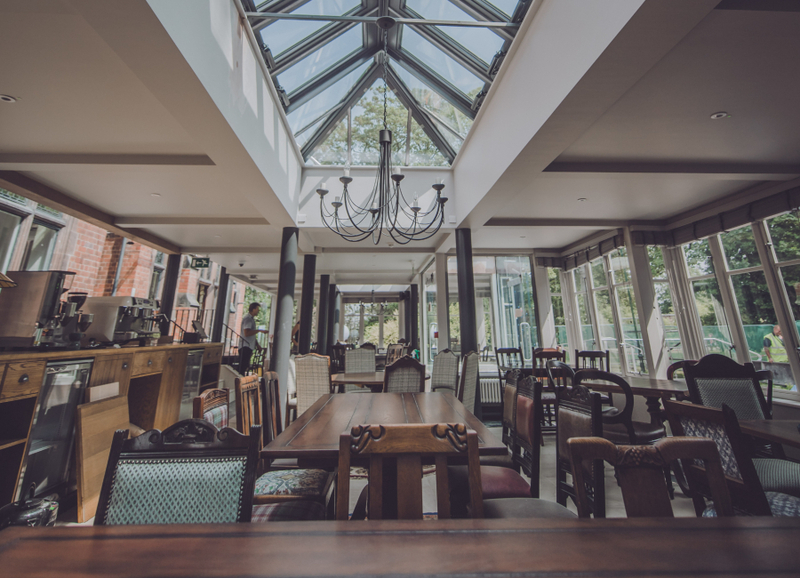 The Oakfield is where Chester Zoo started, when George Mottershead bought it in 1930 for £3,000!